Fully Automatic Transmission Fully automatic transmission means no shifting required; the PW50 is a twist-and-go package. 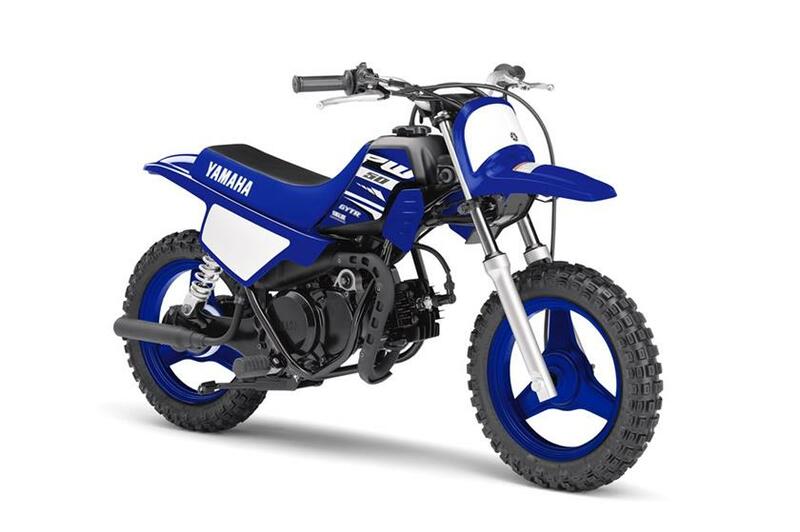 Entry-Level Two-Stroke Motor Gutsy 49cc two-stroke is built to thrill without intimidating beginners. Ultra-Low Seat Height A seat only 18.7 inches high makes the PW50 the ideal choice for the littlest rider in the group. Adjustable Restrictor An adjustable throttle stop screw lets the adult in charge gradually increase speed as skills improve. Low Maintenance Requirements Shaft final drive means no chain maintenance, while Yamahas exclusive autolube oil injection system eliminates the need for fuel/oil premixing.